Out of stock since Thursday, 25 October 2018. Due back soon. Out of stock since Thursday, 22 November 2018. Due back soon. The Mark Todd combo under rug is ideal for extra warmth in the winter and is suitable for use under Mark Todd or any other brand of Rug. The under rug combo has been designed with a cotton outer to stop other rugs slipping over it. This Mark Todd rug has a non slip channel quilted cotton outer, a cotton lined 250g filling inner, a single breaststrap, double hook and loop neck fastening and low cross surcingles (fillet string not supplied). 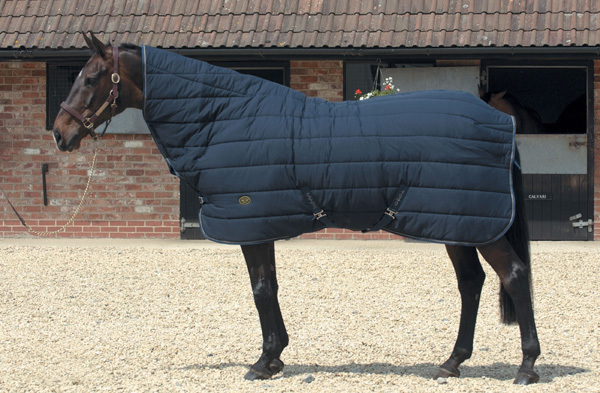 The Combo neck design of this under rug can be worn as a neck cover or folded back according to your horses needs. There are currently no questions for Mark Todd Combo Under Rug - be the first to ask one!